A dragonfly flitted in front of me and stopped on a fence. I realized I looked up a lot for what I wasn’t sure. The sky was not unlike other skies. A few clouds in an otherwise sea of blue. Still, my eyes regularly went upward and as they did a shudder went through me, like 62 years hadn’t gone by. Like then was now. Like I was there too. When I was a kid in LA, I read about it. Suddenness in a beautiful morning sky. Blinding light. Peeling skin. Thirst. A river full of bodies. Once, on a trip to Japan, I found myself impatiently awaiting the arrival of a train in a small, countryside station. I had things to do, I was late, no one was around, and no sign of a train. An old woman quietly entered the platform and moved slowly to the bench opposite mine. For a while, we sat together in silence. Finally, I ventured into my limited Japanese, asking her when I could expect the train to arrive. She looked up, appearing startled, as if I had interrupted some far away thought. I could see she’d spent many years on the planet by the wrinkles on her face. But her eyes, I remember mostly her eyes, were strong and clear as they peered into mine. “It is unusual to see an American this far from the city,” she answered in perfect English. I was taken back. Most Japanese are too shy to speak English to a foreigner even if they possessed several years of school training. The woman, so old, so other generation looking, spoke clearly. Yes, I am an American I said and then added she spoke very good English. We returned to our outward silence. Inward, however, my mind was screaming, “Twenty five minutes!” I could feel sweat forming on my back. There wasn’t a phone anywhere to be seen. I was really late! The old woman seemed to read my thoughts and smiled softly. I calmed a bit. After a moment, I asked if she was from the local area. I said nothing, perhaps only smiled. I had never met anyone from Hiroshima. Finally, I could no longer contain myself. Were you in Hiroshima during the war I asked. On the morning of August 6, 1945, she had risen before the sun and accompanied her father on the train to the family rice fields a few kilometres out of town. Before the war she was a college student with plans to be a teacher. And, she was in love. He had been her best friend since they were children and they planned to marry after he finished medical school. Then the war came. One day, as they walked hand in hand near the river, a mailman rode up on his horse and handed the boy a red envelope. Receiving a red envelope meant imminent draft into the Japanese army; that night they did not return to their parent’s homes. A few short days later tears streamed down her face as he and other inductees boarded a train. As was their custom in the train, she and her father silently sipped the green tea her mother had prepared for them. There was talk the war would soon be over and thoughts of her lover stirred an excitement in her young body. For the past several months, classes at the all-girl’s school she attended had been canceled and the students put their energies into the war effort. They sewed uniforms; they wrote letters to soldiers they had never met; they prepared lunch boxes for local officials. Days were long and each began in the school’s assembly area where the girls marched with bamboo sticks serving as rifles. On the previous day she had asked to be excused to help her father and permission was granted. I arrive at the train station in Hiroshima in the early evening. The heat, the crowd, and my overindulgence in bullet train sake all serve to put me in a rasty mood. Then, things get worse. I’m informed the ryokan, the traditional Japanese inn where I’m planning to stay, can’t find my reservation, and they are full. What to do? I look for a trash can to kick but they don’t seem to exist in Japan. I stomp into the station’s travel office and start going on with the clerk. I catch enough of the Japanese to know he’s saying the town is full and I’m screwed. His smile gets to me and I’m about to grab his tie when he adds, “However, there is one room available at the hotel here in the station.” Great. Just where I want to stay. But what choice do I have? I trudge over. I can’t believe the room. It’s barely large enough for one extra narrow twin bed and what must be the world’s smallest bathroom. Traversing the room means crawling atop the bed. I call the place ‘The Closet’. If that’s not bad enough, the tiny window provides no air flow so I have to leave the air conditioner on. I tell myself people all the time sleep with the air conditioner on, so I can too. I wake in the morning feeling like I’ve been dragged behind some bad guy’s horse through the Mojave Desert. I guzzle a couple of cans of black, tasteless coffee, and stumble into the world outside. Like me, the many who mingle near the memorial are moved to the privacy of their thoughts. One hundred and forty thousand lives ended in the blink of an eye. What was Truman thinking? On August 7th, the day after the bomb, he stated, “We have spent 2 billion dollars on the greatest scientific gamble in history, and won.” What did he mean, “won”? He actually claimed Hiroshima was a military base. Dimwit! How come nearly everyone who died were civilians? I see a formally dressed, elderly man standing alone near the Peace Memorial. I approach him, bow respectfully, and begin a conversation. He tells me his name is Fujita-san and that he was born in Hiroshima. ”When the bomb was dropped I was in Nigata training to be a kamikaze pilot. I was 17 years old.” He says the house in which he was born was near the river directly under the explosion. ”My parents were in the house. When the war ended, I came home and searched through the rubble but I never found my mother or father. They became ash and vanished.” Later, as I walked toward Genbaku Dome, I thought of the tears in Fujita-san’s eyes as he spoke of his parents. “Genbaku Dome” is the face of the atomic bomb and a 5-minute walk from the Peace Memorial. Because the blast was directly overhead, the walls remain essentially intact and the steel that formed the dome is still recognizable. 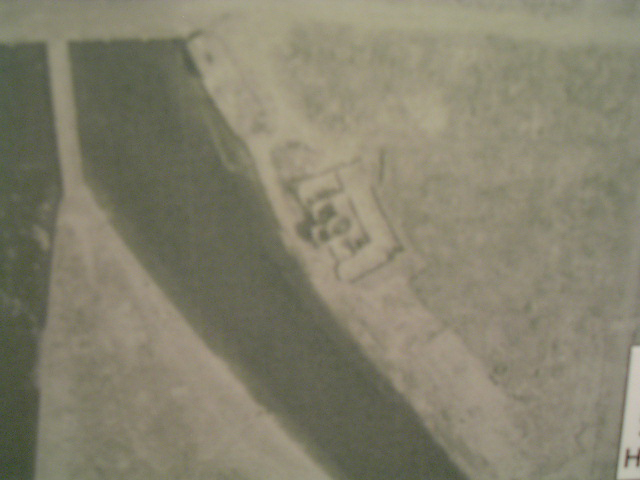 In 1996, UNESCO inscribed Genbaku Dome on the World Heritage List. Only China and the United States voted against the inscription. Before the bomb Genbaku Dome was called, ‘The Hiroshima Prefectural Industrial Promotion Hall’, serving as a trade mart where local products could be displayed. On a given day the hall was packed with buyers looking to fill their shelves with goods priced below market and with sellers looking to move their wares. Of course, everyone inside the building died within a split second of the explosion. If Japan was offering to surrender then why did America drop the bomb? Many say it was to send a message to the Soviets. If so, Moscow didn’t get it. At war’s end the Soviet Union tightened their strangle hold on Eastern Europe, focused on a tumultuous China sitting on their southern flank, developed their own nuclear arsenal, and ‘flipped the bird’ at America. Harry Truman had met with Stalin at Potsdam, two weeks before the bomb, telling him that America had “a new weapon of unusual force”. Truman said Stalin didn’t have much to say about it except “he hoped we would make good use of it against the Japanese”. Imagine… Truman and Stalin, strolling arm in arm, planning the obliteration of Hiroshima. All the while, Truman is thinking to himself, “Boy, these Russkies are gonna be dancing to America’s tune after they see what we got!” Get real. If Truman’s goal was to impress the USSR in a post World War II world dominated by America, he could have simply invited them to view a test. He would have gotten his point across and maintained the moral authority necessary for leadership. But Truman’s primary thought wasn’t about the down the road relationship with the Soviet Union; he needed to justify the expense of developing the bomb. What better way than dropping it on a major city within an island nation? Could it be America kept the war going with Japan just long enough to provide such a target? 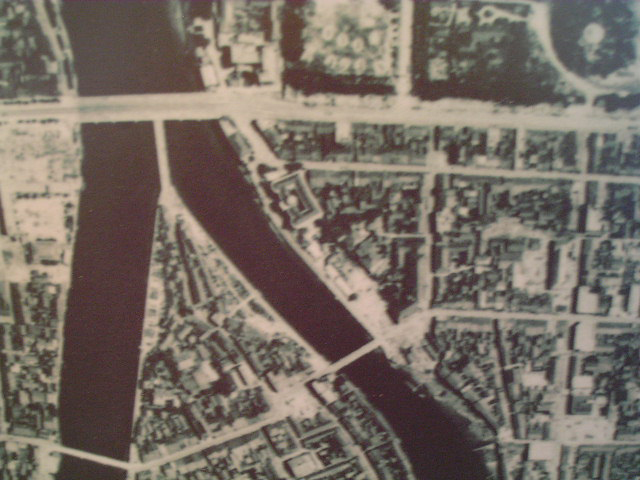 Hiroshima possessed a large population and because it had escaped conventional bombing during the war scientists could avoid confusion as to what caused what in subsequent field studies. The Nazis and the ultra-right who led Japan into World War II weren’t the only ones who conducted medical experiments. The atomic bomb turned Hiroshima, and three days later, Nagasaki, into a science lab the likes of which the world had never seen. No question, America got its money’s worth. Hell, people are still dying today from radiation exposure! The following morning I caught the bullet train to Kyoto. As we built speed, I glanced back and felt the emotion of leaving the city with such a history. Hiroshima means wide island and indeed everything seems wider than what is typically found in a Japanese city. Of course, the city was rebuilt after the war and now has a bit of Europe to it. I was wondering if city planners had that in mind when my thoughts switched to a dragonfly I encountered on my walk to Genbaku Dome. It flitted in and around a tree along the river before landing on a nearby branch. I extended my index finger in its direction. Without hesitation, the dragonfly climbed aboard; its tiny feet clinging. For a minute or two, under a cherry tree in Hiroshima, the dragonfly and I shared a piece of time, and then it flew away. I was thinking of this extraordinary creature when the beautiful river city Hiroshima passed from my view. Hibakusha say simply, “I met with the A-bomb.” Perhaps they use this expression because the event they “met with” defies description – an instant of massive destruction, mind-numbing death and injury, the grief of watching helplessly as family members, relatives, friends, and neighbors died in agony. They also say, “It’s painful even to remember.” The A-bomb witnesses have overcome that pain and are passing on their experiences of that day. They feel duty bound to tell the world why nuclear weapons must never be used again. 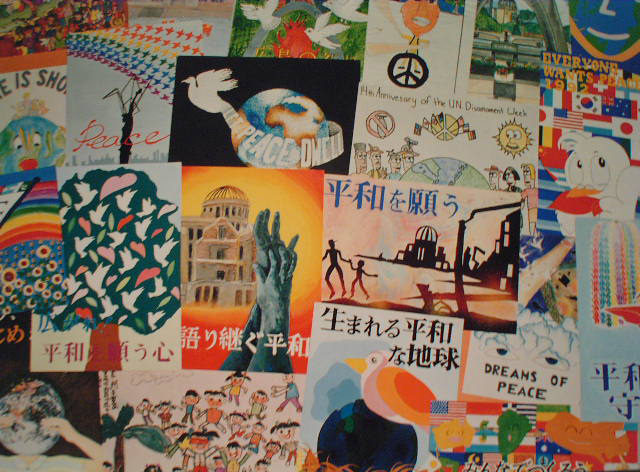 The continual prayer of the A-bombed City Hiroshima is to unite humankind toward our common goal, genuine and lasting world peace.